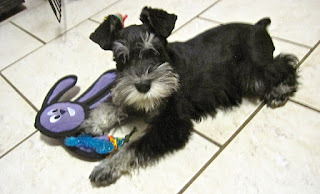 It seems amazing that it has been seven years this weekend since I brought Emma, my mini schnauzer, home from a breeder in New Jersey. She is a a ton of personality and joy in a compact little tail wagging package. Here's a flashback photo taken not long after she arrived. Honestly, who could have resisted that face??? 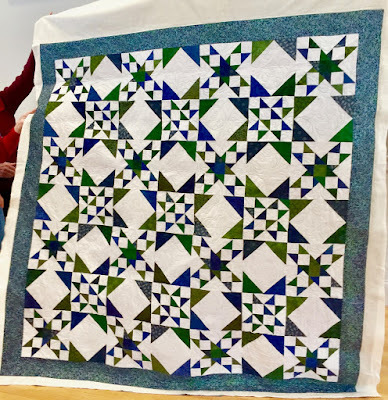 It's been a busy week, but I'm afraid not too productive quilt wise although I did get all the blocks for my hexagon flower quilt sewn together. I wish I could say I had added the sashings and borders, but that would be a fib. Maybe this week . . . We had a fun Crosstown Quilters Guild meeting on Tuesday. 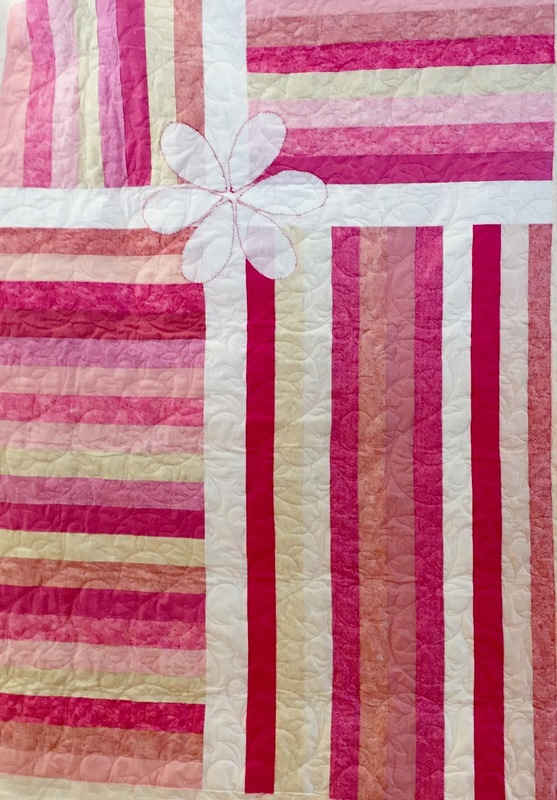 Here were two lovely quilts from our 'show and tell' segment. Janie's blue, white, and green quilt was a mystery quilt from another guild. She had just gotten her quilt back from Maureen, another member and long arm quilter. 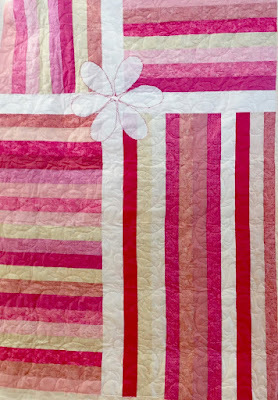 Anne's cute pinkalicious quilt is intended for a lucky little girl. 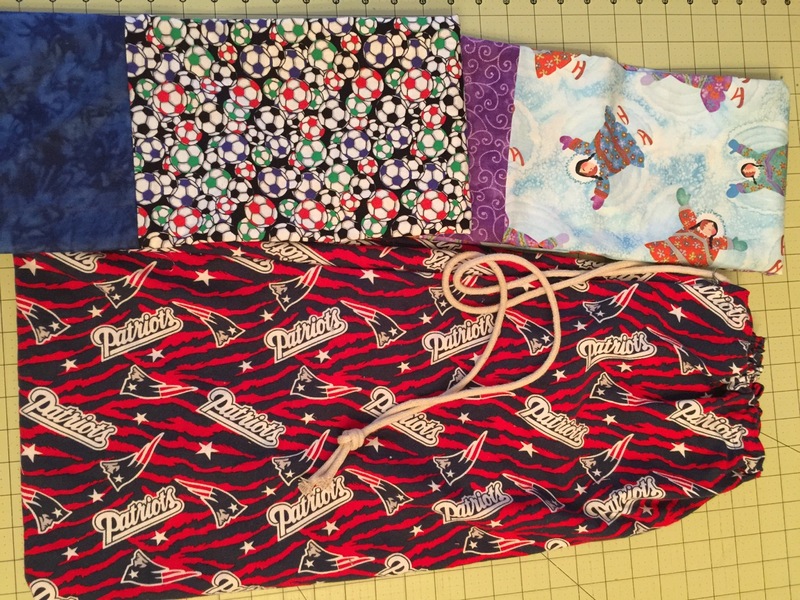 I turned in two pillowcases and a Patriots drawstring bag for charity. Yesterday, I attended a performance of Annie with the Arlington Children's Theater as my young cousin Miss T. was cast as one of the orphans. It was a wonderful production. 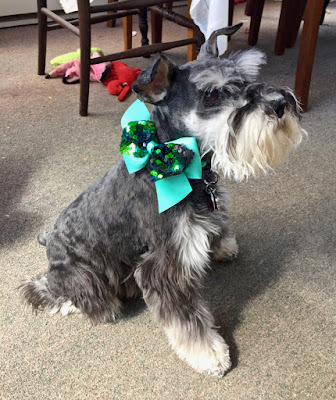 My friend Marilyn once again hosted her annual St. Patrick's Day dinner this afternoon. Personally, I could easily skip the carrots, cabbage, turnip, and potatoes; just give me the corn beef. Yum!!! Hope you had a great day, too! The snow has melted and spring arrives on Wednesday. Whoopie!! !